SUNOCO’s Free Fuel 5000 Sweepstakes + $25 Sunoco Gift Card! Free Gas, Free Gas, Free Gas! How do you like the sound of that? Summer is here and it’s time to put your road trip into motion. That means family moments, fun times, and oh yes, gas money! So how does a giveaway sound? 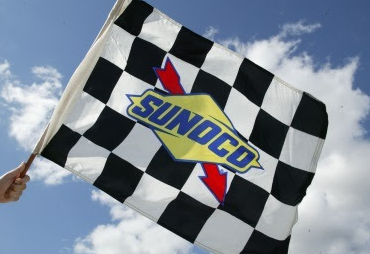 This summer, Sunoco is giving away $5,000 in free fuel to 11 grand prize winners! 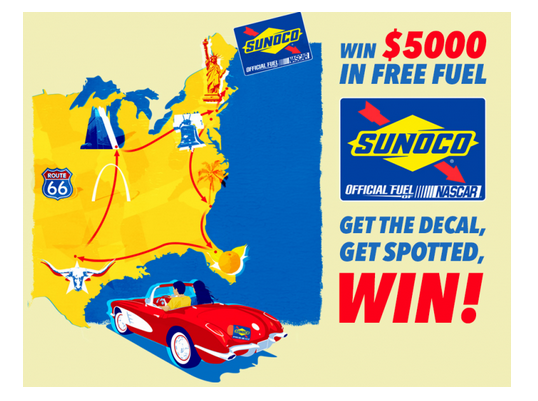 Get the Sunoco decal, get spotted, and win! ?The Sweepstakes begins on July 1, 2016 at 12:00 a.m. Eastern Time (?ET?) and ends on August 31, 2016 at 11:59 p.m. ET. 1. Stop by any participating Sunoco Station and pick one up for free. ?Find a station near you by visiting the?Gas Station Locator page. 2. Request a decal on the Sunoco Facebook page. For more information, read the?official contest rules. While you are here, enter to win a $25 Sunoco Gas Gift Card! Giveaway open to U.S. Residents only ages 18+. Giveaway ends 7/24 at 12:00 a.m.